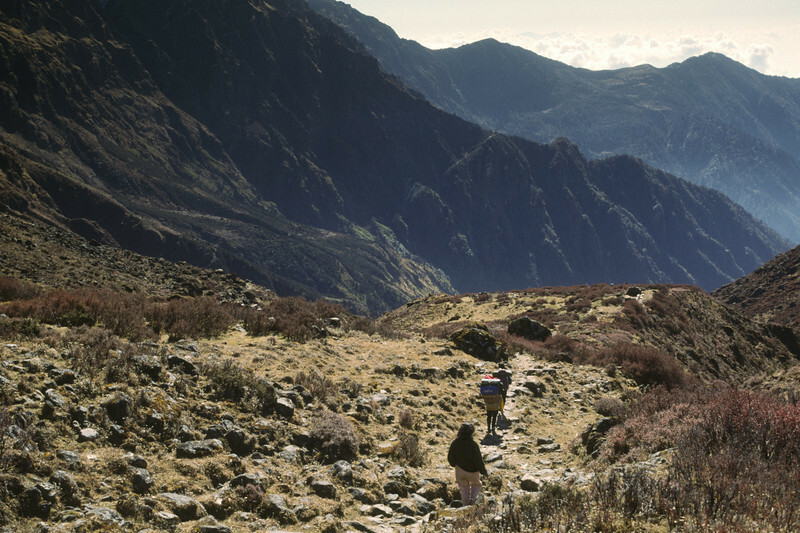 Photos from my trek to Langtang in 1986. This trek started out with a bus trip from Kathmandu to Trisuli and from there with truck to Dunche. to Gosaikunda from Syabru. At this pass with an altitude of nearly 5000 m there are several small lakes. The trek was finished at Malemchi Bazaar. Today we descend a further 100 m to about 2500 m.